Oakley has once again partnered up with legendary skateboarder Eric Koston for a new take on the iconic Frogskin sunglass silhouette. The frame is handcrafted from acetate and finished in a matte camouflage and dark grey color with the iconic Oakley logo represented a contrasting orange. 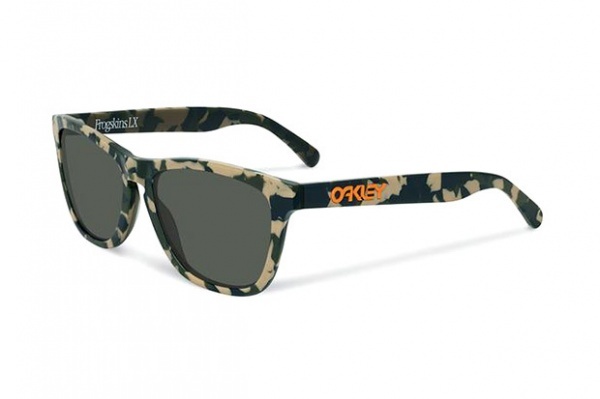 The Eric Koston x Oakley Frogskins LX are now available via the Oakley webstore for $180 USD. This entry was posted in Sunglasses and tagged Eric Koston, Frogskin, Frogskin LX, Oakley. Bookmark the permalink.